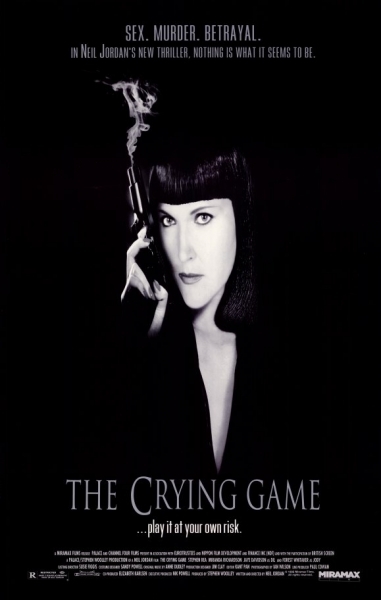 Back in 1992 a movie came out called The Crying Game and it succeeded at causing a major stir among audiences which made it one of the most talked about movies in recent history. Critics and journalists were having a field day writing about the secrets of the movie, and it ended up being nominated for 6 Academy Awards and winning for Best Screenplay. Writer and director Neil Jordan worked very hard to get this controversial film made and it wasn’t always an easy task. At certain points it just seemed downright impossible. As history shows, The Crying Game did get made and has become something of a classic even if it isn’t something that is discussed too much anymore. I’d like to get some of that discussion started up again, so let’s get started. 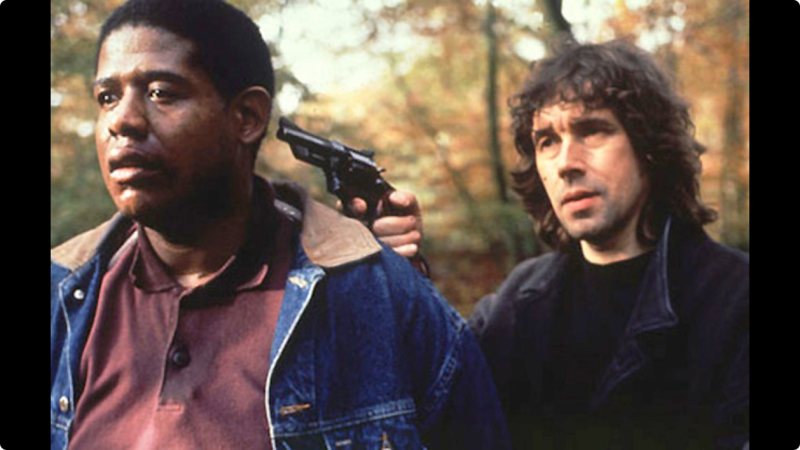 After Jody (Forest Whitaker), a British soldier, is covertly abducted by a group of IRA members, he is taken back to their hideout deep in the woods. Over the course of a few days, one of the IRA members, Fergus (Stephen Rea) befriends Jody and learns a lot about his past and his girlfriend, Dil (Jaye Davidson). After tragedy befalls the group, Fergus flees to London acting on a promise he made to Jody to check on Dil. The two quickly meet up in a bar and form a relationship which weighs heavily on Fergus’ conscience. As Fergus wrestles with his beliefs and motives, to of his IRA colleagues, Jude (Miranda Richardson) and Maguire (Adrian Dunbar), arrive in London and force him into another job that involves the assassination of a judge. His two lives from the past and present proves to be a volatile mixture that will lead to an inevitable murderous outcome. The Crying Game is a movie that takes so many different themes and mash them together to create a hodgepodge of intriguing subject matter. Like the characters in the movie, these themes often clash together which causes a lot of the drama in the film. At first, the movie seems to be solely focused on the tension between Britain and the IRA. The barrier that breaks between Jody and Fergus in the first third of the movie is interesting to see because it shows that if you take away the labels of “British” and “IRA,” what’s left is just being human. The next part of the movie focuses on identity in multiple ways. Without getting into the realm of spoilers, there’s a huge focus on who Fergus is, was, and who he wants to be. This all happens when he meets Dil and introduces himself as Jimmy. He pretty much changes his appearance and name to become someone else, which is threatened when the IRA finally catches up with him. There’s so much more thematic depth that I’d like to talk about, but that would be at the risk of ruining parts of the movie. To go along with the deep thematic material of The Crying Game is an incredibly well realized screenplay by Neil Jordan. The characters that are written come with many layers, and each layer is slowly peeled back as the movie goes on, even if the character is only in the movie for a short time. These dimensions are best explored during the many conversations characters have with one another as the plot unfolds. The first half hour of the movie is pretty much different interactions between Fergus and Jody, which has a huge impact on the characters, especially with Fergus who is the main character of the movie. These two men should be enemies, but simple conversations turn them into close friends. This kind of dialogue also opens up an moral ambiguity that stirred up some controversy when this was released in the UK. In 1992, it wasn’t a popular thing in Britain to have a movie with a sympathetic and relatable IRA member as the protagonist. The Crying Game is one of those movies that has a history that’s almost as interesting as the movie itself. Neil Jordan made a pretty good name for himself with his more independently produced films at the start of his career, but as his bigger budgeted efforts in the United States came along, things started to get a little bit shaky. Jordan saw The Crying Game as his chance to earn back his good reputation and feel like he was making films that were worth it again. The problem was that no producers or distributers seemed to share his enthusiasm about the screenplay. Jordan and his producer, Stephen Woolley, went all over the place asking for funding, and they finally found this funding in the UK, Ireland, and Japan. When the movie was released, it became a sensation. Critics warned audiences not to spoil the movie and it remained in theaters for much longer than anyone anticipated. The cherry on top of it all was an Academy Award for Best Original Screenplay. The Crying Game is a gem from the early 1990s and has unfortunately seemed to disappear from mainstream audiences. That’s really a shame since the film deals with timeless themes of violence, identity, and humanity in ways that were very controversial, especially for a movie released in 1992. This isn’t just a throw away thriller that is forgotten about 15 minutes after seeing it. This is a movie that stays with you days after you’ve seen it and has so many layers to peel away at to see the whole picture and the message the creators were trying to convey. This is a rich, intelligent, and rewarding movie that I certainly recommend.